Ed. Note: Ray Cowin is a lieutenant with the Chicago Police Dept. He also is a criminal justice adjunct instructor at Triton College, National Louis University in Chicago, and the University of Phoenix in Schaumburg, Illinois. 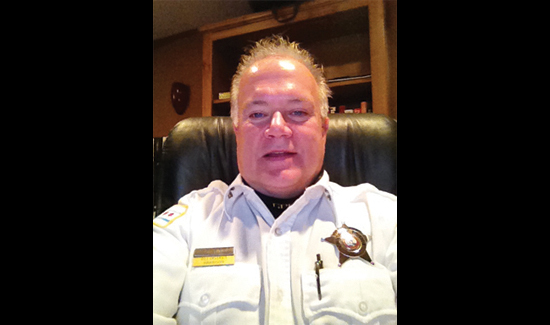 Ray has been in law enforcement for over 36 years and has served on three Chicago-area departments, holding the positions of detective, field training officer, evidence technician, tactical team supervisor, school liaison officer, and terrorism liaison officer. I have been serving in law enforcement for over 36 years, and my career is fast coming to an end. I am sad to say that I will likely be leaving this job very angry over the present state of affairs in America, regarding an attitude that is developing concerning law enforcement in our country. I am overly troubled by the recent ambush attack and murders of New York City Police Officers Rafael Ramos and Wenjian Liu, Las Vegas Police Officers Igor Soldo and Alyn Beck, and Pennsylvania State Trooper Bryon Dickson. Really, is that what our society wants? Every night, the media hammers us with stories about anti-police protests across the country. It’s not a good time to be serving in law enforcement. Who is responsible for this behavior? Politicians, religious leaders, and prominent society people have made inflammatory statements regarding race relations and the police. Al Sharpton, Charlie Rangel, and even President Obama, all have issued statements that may have been perceived to be responsible for fanning the flames of antagonism toward the law enforcement community. This appears to be some attempt at creating an “Us vs. Them” mentality of police against the citizenry. I don’t know any police officer who took this job with that mentality. Maybe the mentality was good guys versus bad guys. Most officers came on the job with the idea of serving the public, keeping citizens safe, and putting the “bad guys” where they belongs—in jail. Police officers are used to being in control of dangerous situations. Mostly, we are all highly trained to handle any type of situation. However, officers typically encounter suspects or offenders who have no respect for authority, let alone police officers. These people are determined to make the law enforcement-suspect encounter as caustic as it can possibly be. Most officers can recall a story about encountering someone for a minor law violation who then acted in such an unreasonable manner that they were forced to arrest that person. When he or she originally encountered that person, the purpose was simply to investigate the situation, warn the person about their activity, document the stop, and send the offender on their way with a discretionary warning. Recently, the high profile cases in Ferguson, Missouri, and New York City are examples of defiance exhibited toward the police officers. Maybe if the lawbreakers who eventually died at the hands of police officers simply followed the officers’ verbal commands, they would still be alive today. When did it become okay to defy law officers because you simply don’t like to follow the morals, norms, and values of a decent society? You have no right to resist a lawful arrest of a police officer. Where did respect for authority go? Where did common sense flee to? Apparently, common sense is not so common anymore. I don’t remember when Al Sharpton became an expert on how professional police officers should conduct themselves when policing. Police officers are charged with enforcing all laws. It is true that officers utilize discretion on a daily basis and often overlook minor, nuisance-type crimes. However, if a citizen complains to the police and wants an offender locked up for selling “loosies,” the officer should take arrest action. That fulfills the whole concept of doing what the community you are serving desires. New York Congressman Charlie Rangel flatly denied that his constituents were heinously chanting their desire for dead cops in the Murray Hill neighborhood, during an interview with CNN anchor Ashleigh Banfield on Dec 22. It was pointed out to Mr. Rangel that the actions of these protestors were captured in a YouTube video. Rangel quickly did what any “skilled” politician does when proven wrong: he changed the subject. Michael Brown was not targeted because he was black; he was stopped because he was violating a law of walking in the street and later determined to be a suspect in a robbery of a store employee. Officer Wilson did what any good police officer should do in that situation. He attempted to investigate a crime that had been committed. It was Wilson’s duty to inject himself into Michael Brown’s life that fateful day. The officer responded to a citizen’s call of a suspicious man and took quick, decisive, and, if I may add, correct police action in arresting the confrontational Henry Gates. The officer in that incident proudly (and rightfully so) did not apologize for doing his job. President Obama does not appear to be a friend to the law enforcement community, based on these actions. Has anyone heard our nation’s leader make any statement in support of Officer Darren Wilson? I know I haven’t. Can you imagine what Officer Wilson has been going through the last several months? The majority of law enforcement officers never have to fire their weapon in the line of duty, let alone take the life of another human being, as Officer Wilson was required to do in Aug 2014. His life has certainly changed since that incident. He has faced death threats, the stress of a lengthy grand jury investigation, the likelihood of a civil trial, and his eventual resignation from his job. Yet in spite of all the stress placed upon Officer Wilson, we have not heard any words of encouragement from the president in support of Wilson. The very basic premise of our judicial system determined that Officer Wilson acted in a reasonable—and, more importantly, lawful—manner during that encounter. The president should praise the system, which, while it has flaws, is still the best in the world. Instead, he chooses to ignore what Officer Wilson has endured. It is not good leadership for an impartial leader to perform in that manner. Is any person’s life more important than the next no matter what color or ethnic background? Have we lost track that police officers lives are just as important? Officers continue to serve and protect their communities, in spite of the very vocal protestors who are spewing hate and violence toward law enforcement. On a daily basis, officers are protecting the rights of those protestors by keeping them safe and allowing them to pass on their hateful messages. Officers across the nation are demonstrating their professionalism by exercising amazing restraint when being confronted by these protestors. Shouldn’t our president and other leaders recognize this effort on the part of law enforcement? This country will need its police officers to cross over the “bridges of racism” that the protestors are calling for. Law enforcement is a necessary element in our society and should be embraced by a civil society, instead of being loathed and hated. Maybe those protestors should walk a mile in police officers shoes to see what an officer endures on a daily basis. I can guarantee it would be an eye-opening experience. My only hope is that these protestors—in spite of the vast media attention they are receiving—turn out to be a minority segment of our society. I would really like to believe that in spite of the inflammatory rhetoric, the majority of good citizens in this great country still support their local police. Being a cop today is by no means an easy job. We are faced with dangerous, stress-filled, often seemingly hopeless situations that we somehow find a way to mediate. I really hope that these people understand that without our police officers putting their lives on the line on a daily basis, this country would quickly end up in an unimaginable chaotic situation from which there might not be any return. No truer words have been spoken. It’s just sad it took a 13-year-old boy and the tragic deaths of two law enforcement officers to put it all in perspective. I agree with everything Lt. Ray Cowin says in this article. What happened to respect for authority, respect for one’s elders, and how about some respect for oneself and some humility. The video of Michael Brown’s treatment of that elderly man in the store that Michael Brown robbed is so deeply disturbing to me. When I see young people be so cold and cruel to people in general, it is so upsetting and I believe we are going to see more and more of this as long as children are not taught the basics of assertiveness and respect. To all the parents out there, if you think everything your child does is innocent and his or her right to do, you are in denial and you are contributing to the breakdown of society. I recently retired from the Law Enforcement field and I commend Lt Cowin for his outstanding summation and perspective. Hit the nail right on the head, Lt. Cowin! Not just saying that because you are my brother, you did a great job of summarizing the situation. We need police officers like Lt. Cowin to get a true dialogue started. Up to this point, there has been nothing but a monologue of castigation! I have never met Lt. Cowin nor am I likely to meet him in my lifetime. Yet without knowing me, he and every police officer have done right by me and for that I and everyone else should be truly thankful! My response: “Without the Rule of Law and the willingness to respect and live by it, a civil society simply cannot exist.” Nothing more needs nor can be said. Well said Rich. Thank you!